With the Super Bowl approaching, we are told interest in the NFL is on the decline. Fantasy football thrives, but fewer people are attending games and watching on tv. 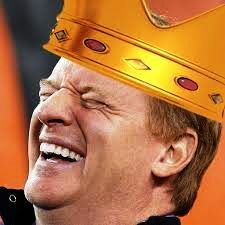 As such — when we are King of the NFL — we are ordering the adoption of a two year experiment. 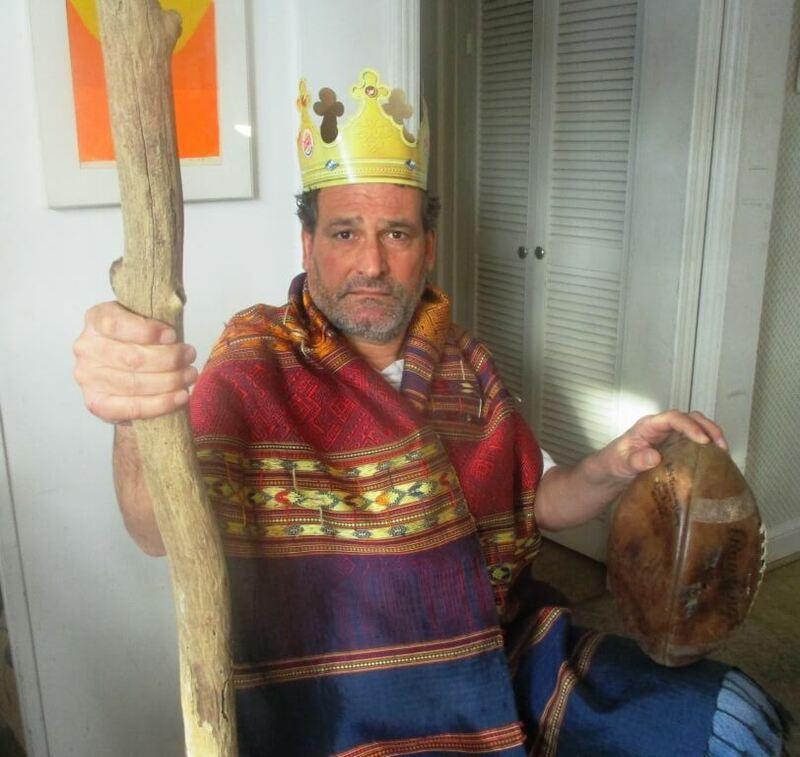 As a constitutional monarchy, we are willing to reevaluate the plan after two years. This feature may be hard to sell to my brainwashed subjects. But 5 playoff teams per conference — roughly 33% — makes the regular season more relevant. 2017 was a prime example. While I enjoyed the Bills’ run, they were not a good team, squeaking in as the 6th seed. On a national level, as the season winds down, fans are blasé about mediocre teams scrambling for the last seed. Look at how pointless are the regular seasons in the NBA and NHL. A few years ago, baseball added a second wild card team. While the play-in-game is juicy, the extra team detracts from the regular season In 2011, the last day of the regular season was considered the most exciting single day in MLB history as multiple teams battled to the wire. Had there been two wild cards, the drama would have been noticeably less . Because interconference play is limited, all preseason games will match AFC vs. NFC. Also, preseason games will, to a degree, count as their outcomes will play a limited role in the final playoff seedings. Teams play only one interconference game, in the first week. This will be rivalry week. As in the NCAA, teams will schedule games themselves (with the King intervening if there are bottlenecks). The goal is to have marquee matchups amongst natural rivals. From weeks 2 through 10, teams play nine games against the twelve teams not in their division. The schedule is balanced with teams playing both stronger and weaker teams based on records from the previous year. The winner of this segment automatically qualifies for the playoffs as a wild card team. Runners up from 2 – 5 can also become wild card teams. Conference play will be exciting as teams jostle for the top spots. Here the split season format reaps its fruits. Many teams will have faltered during conference play. But suddenly — in a slate cleaned — all teams have a reborn chance to make the post season. This six game mad dash pitting traditional foes against each other will generate compressed and unparalleled excitement, especially as the weather turns and conditions make football real football. The division champion is based on these six interdivisional games. With only six games, ties are likely. A tie is broken based upon a team’s overall record including rivalry and conference play. Hence, teams can not afford too many early season losses. Also, to lessen division winner ties, during divisional play overtime will not be used. Tie games increase the likelihood that teams will not finish with identical records in the six division games. If the wildcard winner from conference play wins its division, the runner up becomes the wild card. If the runner up wins its division, the third place finisher is the wild card. If the third place finisher wins its division, the fourth place finisher is the wild card. If the fourth place finisher wins its division, the fifth place team is the wild card. One issue is that a team with a weak overall record might win its division. To counter this problem, if the runner up in conference play has a better overall record than the division winner with the worst overall, the runner up replaces that division winner as a wild card. Hence our five playoff teams from each conference: 3 or 4 division winners and 1 or 2 wildcards. Here’s the twist: crossover playoffs between AFC and NFC. The ten playoff teams will be seeded based on overall record. While the King has not yet determined exactly how, preseason records will play a limited but noticeable role in the seedings. The top six teams receive a bye. The bottom four play on the first weekend. After that, the 8 survivors battle for the Super Bowl championship. As far as research has determined, only one professional league used the split season concept: the World Football League in 1975. 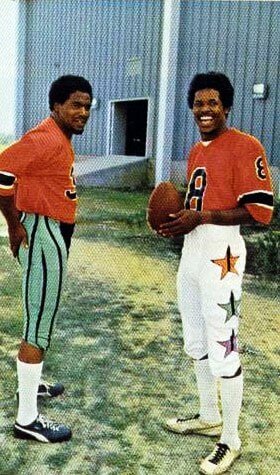 In 1974, the WFL played its inaugural season, recruiting stars from the NFL such as the Dolphins’ Jim Kiick, Larry Csonka and Paul Warfield. TV Guide Promos for WFL Game of the Week. The league suffered from financial difficulties. So, in 1975, the WFL introduced a radical pay structure based on The Hemmeter Plan. 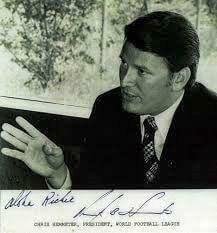 To generate interest, the WFL also broke the season into two nine game halves, a split season. The 1975 WFL Playoff Format was complicated but highly intriguing. Unfortunately, the league folded after playing only 12 games in 1975 before the split season concept could be empirically tested. Hence, the TFL (Talker Football League) will pick up the fallen mantle. By edict of the King. 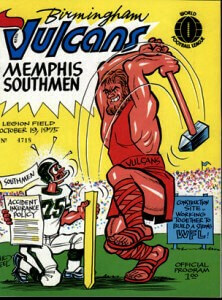 Program from the Memphis Southmen vs. Birmingham Vulcans, October 19th, 1975. Three days later the WFL folded. Lily Pond, Highland Park's hidden ice hockey rink.